If you are confused in deciding a suitable career for a better future, then avail our consultancy to get a clearer perspective regarding your career. At Vyom Enterprises, we are offering career consultancy to various individuals like students, graduates, post graduates, job seekers, etc. We help them in comprehending their interests and aspirations. 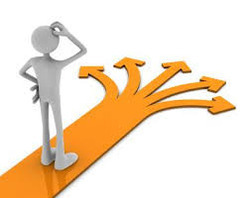 Based on your interests and qualifications, we help you in choosing the right career path. In order to help you in achieving your aims, we suggest different courses and trainings from various institutions. Adopting our methods and opting our training sessions can help you in getting your dream job soon. So, call us anytime or reach our office located in Varanasi (Uttar Pradesh, India).